Showrunner Angela Kang announced in a video posted to her Instagram that the hit AMC series will return next season. The news comes in ahead of the second half of Season 9 resuming on Sunday. Viewership for Season 9 is down 33% from Season 8, averaging 5.2 million total viewers. Yet The Walking Dead is still the No. 1 AMC show and has more than double the number of viewers of spinoff Fear the Walking Dead. 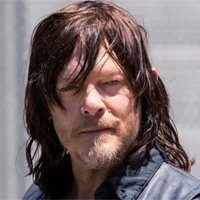 In 2017, AMC CEO Josh Sapan hinted that the show could go on for years, if not decades.